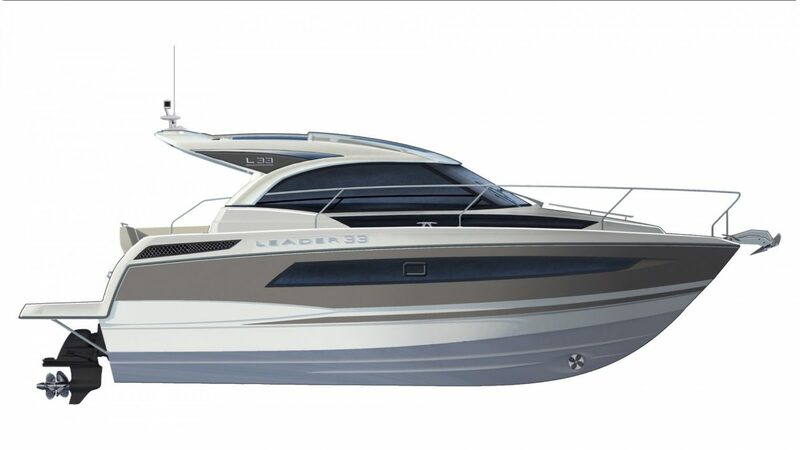 The new Leader 33 benefits from a contemporary, sporty look that is the signature of the Leader line. 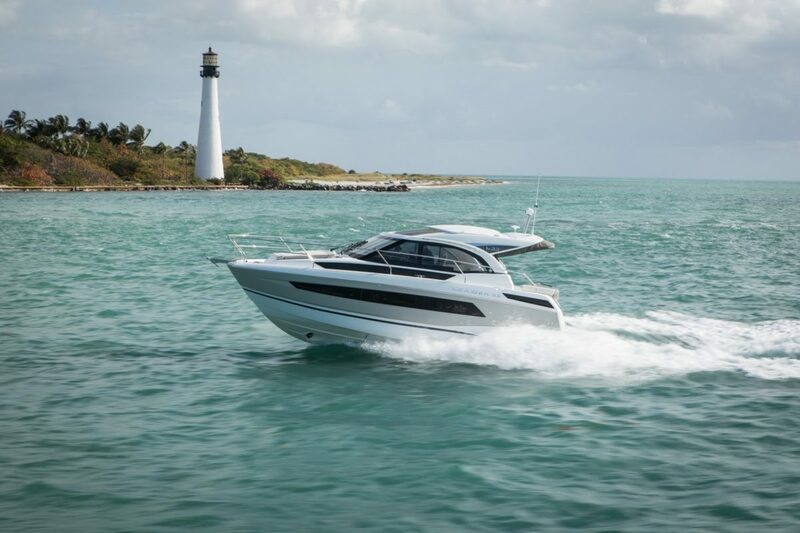 This model is offered in two versions: an Open version with an arch, or a Sportop version with an electrically opening hard top. 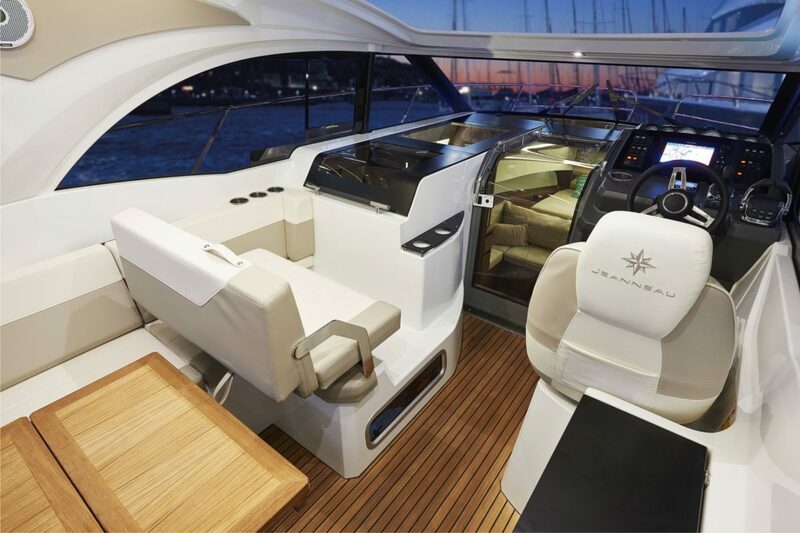 The spacious cockpit allows you to entertain in comfort and style. 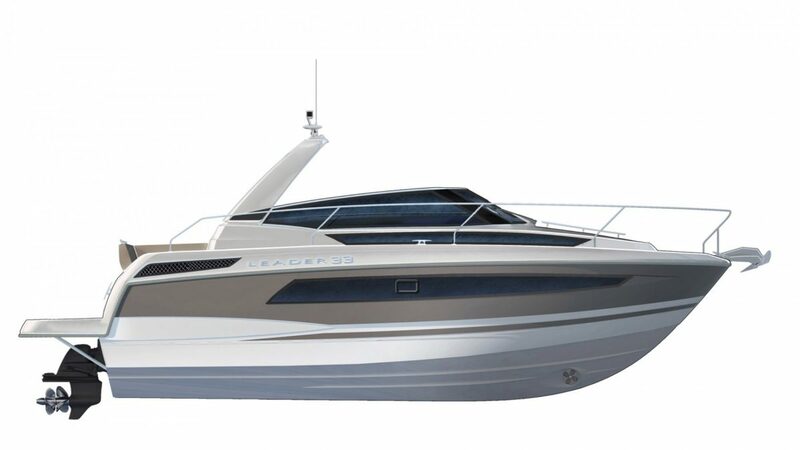 You will particularly appreciate the attractive exterior living area and clever layout of the cockpit saloon, where you can relax on the aft bench seat that transforms into a sundeck while sharing exceptional moments with friends and family around the table in the immense cockpit. 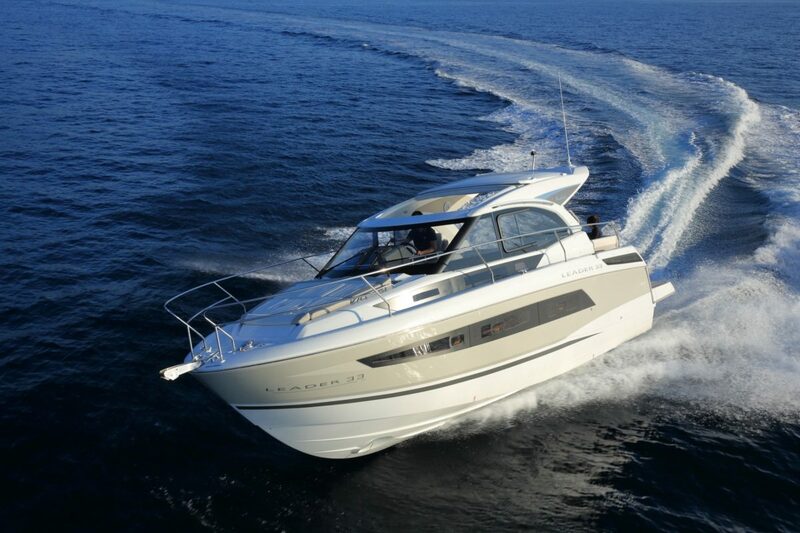 You will be amazed by her interior volume and refined design. 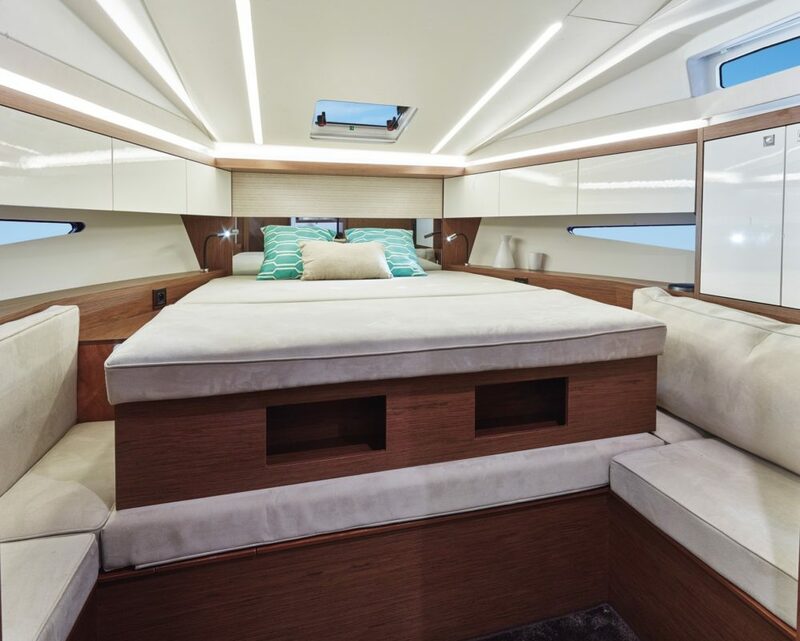 Long windows in the hull offer impressive sea views and bathe the interior in natural light. 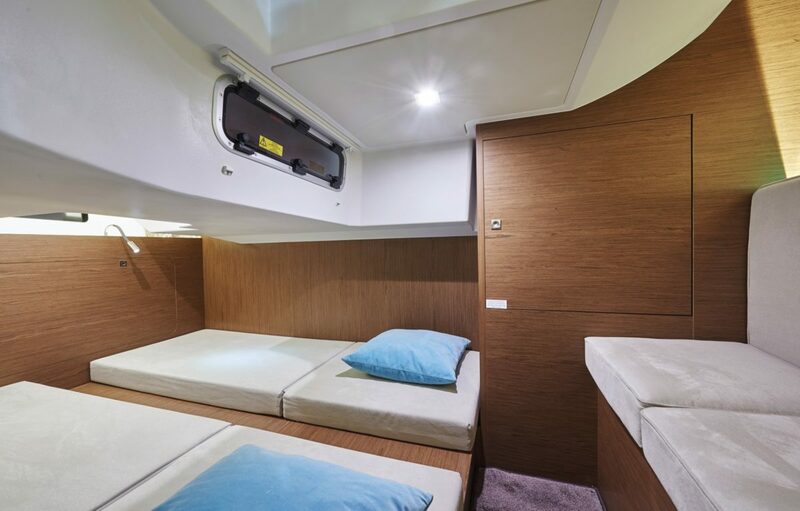 The functional layout lends itself to spending enjoyable moments on board: the galley features numerous storage solutions, and the head compartment offers a high level of comfort with a shower partition. 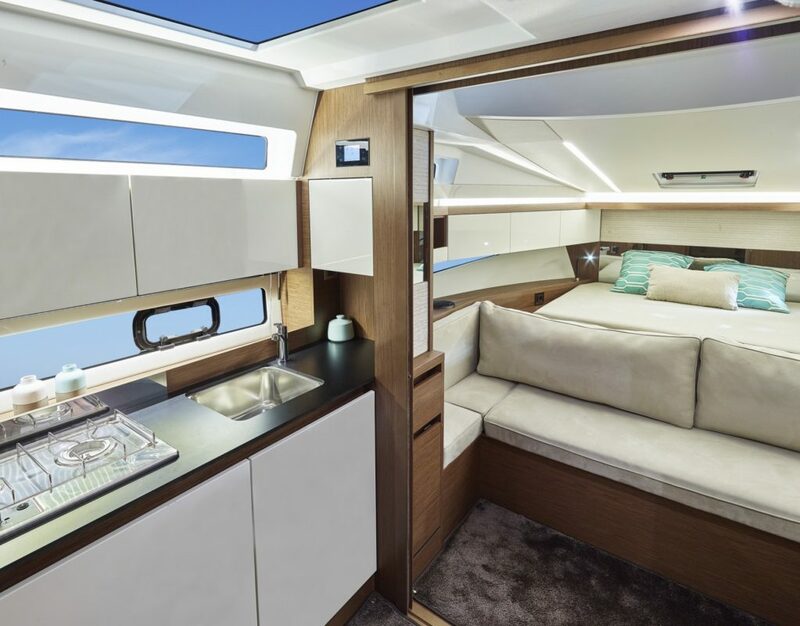 The modular saloon easily transforms into a beautiful private cabin with a pocket door. 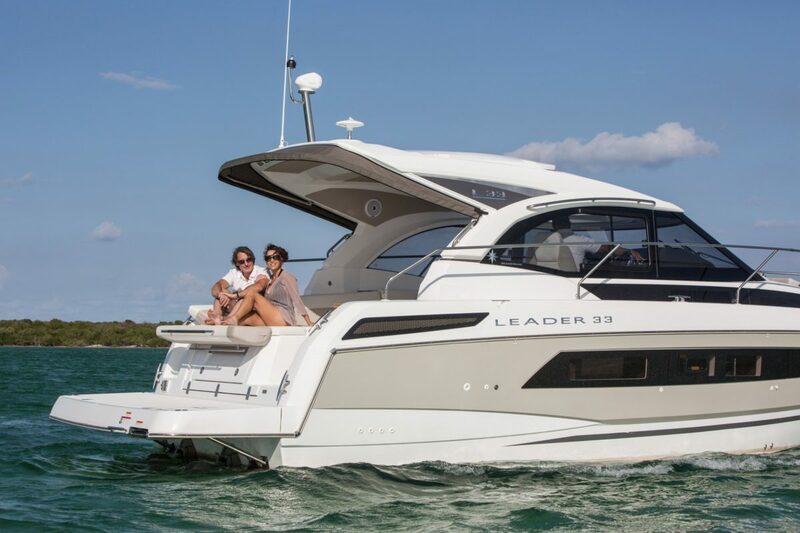 With her generous living spaces, offering an entirely open layout by day, and a cozy atmosphere for greater privacy at night, the Leader 33 adapts to suit your rhythm and lifestyle. 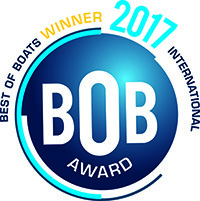 Light displacement: 4912 kg / 10829 lbs.